More people have been forced to flee from Ramadi, capital of Al Anbar Governorate in central Iraq, after violence broke out between Iraqi forces and Daesh in November. Many have crossed the River Euphrates in search of refuge in camps to the west of Iraqi capital Baghdad. MSF has launched an emergency logistics and medical response and the aid organisation is now exploring the possibility of extending its activities in the country. MSF teams working in two displaced persons camps near Bzebiz Bridge – the main entry point to Baghdad Governorate – have distributed mattresses, blankets, pillows, rope, plastic tarpaulins and ground sheets and hygiene kits to some 1,000 people. Heavy rain has worsened already very tough conditions in the camps, so the teams are now preparing a second distribution. A recently constituted emergency team has also set up a clinic to provide some 2,500 displaced people and the host community with around the clock emergency treatment and primary healthcare and, when necessary, transfer patients to hospitals. In view of the increase in casualties, MSF is looking into refurbishing a medical facility to deliver mental health services, nursing and inpatient care, pain management, surgery (starting with 20 beds) and physiotherapy to victims of the war or attacks and explosions in Baghdad. The hope is to be able to extend these activities to other places in Iraq. The country’s failing health system is struggling to meet the needs of its people while lack of sanitation, overcrowding in some areas, malnutrition and water contamination are contributing to the spread of disease – particularly those that are water-borne. According to the International Organisation for Migration (IOM), almost three million people have been displaced in Iraq since January 2014 but lack of security is preventing humanitarian aid workers from reaching out to many of them. According to the UN High Commission for Refugees, there are around 100,000 Syrian refugees and 10,000 displaced Iraqis in Erbil Governorate. 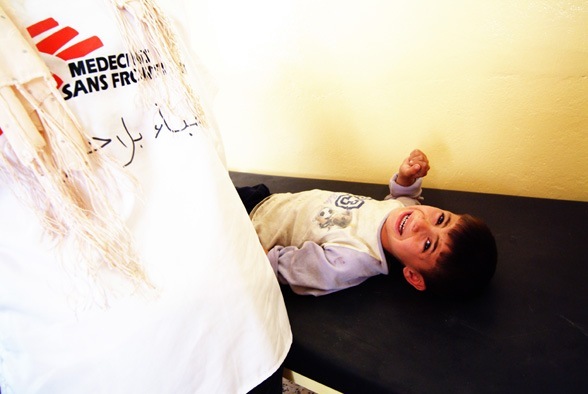 Since 2013, MSF has given 50,000 medical consultations in the Syrian refugee camp in Kawargosk and over 20,000 in the one in Darashakran since 2014. MSF continues to provide mental health services in Kawargosk and Darashakran and, in 2014, delivered 1,073 mental health consultations. In 2015, MSF extended these services to refugees and displaced people living outside the two camps in the town of Erbil and to Syrian refugees in neighbouring camp Gawilan. To assist the displaced, outpatient consultations were provided in 2014 and 2015 at several locations between Mosul and Erbil, as well in various areas along the border between Kurdistan and Iraq’s Nineveh Governorate. 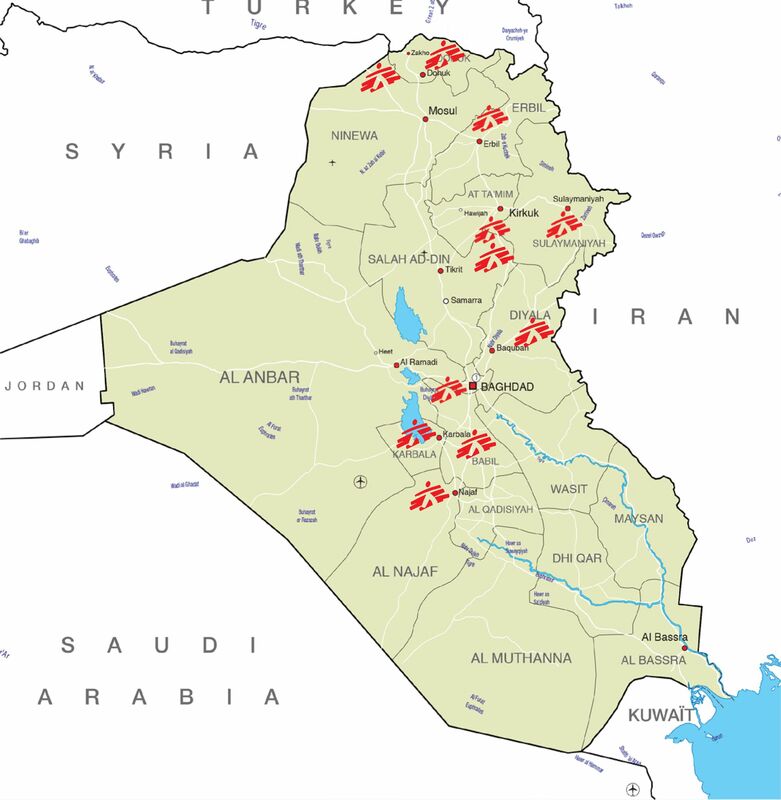 According to “Iraq Body Count” – https://www.iraqbodycount.org/ – the number of civilian deaths caused by the violence has doubled every year, from 4,622 in 2012 to 18,877 in 2014. Over 14,000 people had already been killed by November 2015.